The market for multi-family housing in the United States has increased dramatically over the last few years . This has created a favorable climate for this type of real estate. We have witnessed record-breaking foreclosures in the United States. Millions of families seeking lower cost transitional residences. This is an opportune time to increase investment activities by buying apartments for sale. We focus on acquisitions in strong markets in urban centers with population and economic growth year over year. We strategically buy properties in markets that will cash flow positive during the buy and hold period. Simple Acquisitions focuses on acquiring, and operating multi-family housing units to grow its portfolio using investment properties. In doing so, the company will create rewarding revenue streams for itself and its equity partners through rental income and long-term capital appreciation. We are currently targeting apartments for sale in the metros of North Carolina which includes Charlotte, Raleigh and the Piedmont Triad area which consists of the cities of Winston-Salem, Greensboro and High Point. 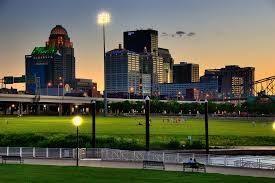 Kentucky also has some strong contending rental markets in Louisville and Lexington. We are constantly looking to acquire apartments for sale with opportunities to add value. We do this through various activities. Physical improvements, curing of deferred maintenance or improving property management deficiencies are just a few examples. We will research hundreds of apartments for sale. Then we’ll acquire those which can be undertaken to drive stable and predictive cash flow. Our company believes that through this thorough and comprehensive evaluation and research process it will put itself on the path to successfully acquiring Charlotte investment properties as being done by many experienced successful real estate investors. Take a look at our current Market Reports and discover why these cities are great rental markets in which to invest. Click on the orange buttons below to get instant access to our reports. If you are interested in learning more about Our Program and want to work with us on some great real estate opportunities simply click Contact Us . Find out how apartments for sale can help make you money.